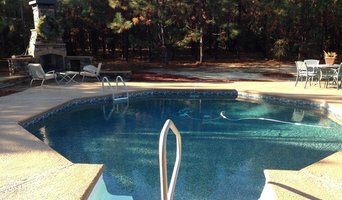 Mid-State Pools & Spas Inc. has been middle Georgia's most trusted and experienced pool builder for 30 years. Mid-State Pools & Spas was founded in Dublin, GA in 1980 which is where our main office is currently located. We have additional establishment's located in Sandersville, GA and Vidalia, GA. We are proud members of the APSP (The Association of Pool & Spas Professionals), SCP's Escape To Your Backyard Program, and Pro Pool Alliance. We are a family owned and operated company who pride ourselves on delivering 100% customer satisfaction. With a combined employee experience of nearly 200 years, we can guarantee that you will be in great hands with our staff when it comes to your pool or spa needs. Atlanta Pool Contractor, Scott Dolan: Building, Renovating and Servicing Pools Since 1988 When you work with Montego, you will work directly with Scott Dolan. He will initially meet with you at the job site to consult with you about the project. You will then schedule a second meeting where Scott will present a color rendering of your pool along with a proposal for the work. Finally, Scott himself will supervise the crew that will install your pool. Every step of the way, you will be in his good hands. Scott Dolan has been building pools for 29 years. Originally from Atlanta, he has always been attracted to the sunny life style of the beach and swimming pools. He even worked as a life guard at the beach, while attending college at the University of Florida. When it was time to go to work, Scott rolled his passion into the pool construction business. Scott’s background also inspired him to take up triathlons, several years ago. Among the many events Scott has under his belt, he is especially proud of the three times he competed in Escape From Alcatraz, placing in the top third. Twenty-one years ago, Scott married and took on a partner, his wife Patrice who has helped run the business every step of the way. When you work with Montego Pools, you will hear from Patrice as she organizes the process and arranges the schedules between you and the subs. 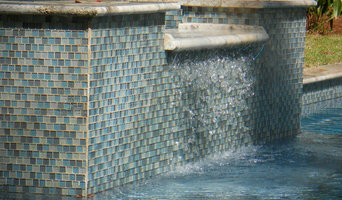 America’s Swimming Pool Company, the Nation’s most respected swimming pool maintenance, repair and renovation company, was established in 2001 by Stewart Vernon of Macon, Georgia. The company was built on the belief that providing the highest-quality pool maintenance with competitive pricing and a high level of dependability will attract customers. Since 2005, ASP has expanded into 113 territories throughout the country, servicing over 200 cities in thirteen states. At this point, the company manages over 80 million gallons of water per week and renovates or remodels more than 250 pools each year. In 2012, Metro Pools & Patios was established to provide local families with the most beautiful and imaginative outdoor living spaces possible. 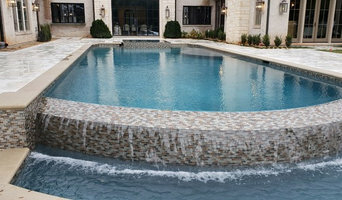 Our Athens pool and patio company specializes in constructing pools, spas, and hardscape features customized to our clients' unique needs and goals. In every service that we provide, large or small, our professionals place customer satisfaction as our highest priority. Combining years of experience with a dedication to client satisfaction, Tap Water Pools has established itself as the local leader in Pool Maintenance, Pool Equipment and Pool Installation. What exactly do Milledgeville pool builders do? If you are planning for a new pool in Milledgeville, GA, a swimming pool builder will analyze your outdoor space and your aesthetic wishes to determine an appropriate design for your yard, installing it once the plan is developed and approved. Once installed, some pool companies in Milledgeville, GA can handle the necessary cleanings, water testing, renovations and equipment replacement or repairs for your pool or spa. If not, many can also suggest Milledgeville, GA swimming pool contractors or maintenance services to help with upkeep or repairs down the road. Here are some related professionals and vendors to complement the work of swimming pool builders: Garden & Landscape Supplies, Landscape Architects & Landscape Designers, General Contractors, Landscape Contractors, Solar Energy Contractors. Before hiring a swimming pool construction company to create your new Milledgeville, GA pool, determine how you'll be using it. Will it be for fun or for lap exercise? Will the primary users be children, adults or a mix of the two? Knowing the use can help you find Milledgeville pool builders who shares your aesthetic. Once you find swimming pool builders in Milledgeville, GA who share your style, research is critical. Review customer references and comments, collect at least three to four estimates to compare, meet with potential Milledgeville pool designers and builders in person and ensure that they are Georgia certified service professionals and licensed with the registrar of contractors before making any final decisions. In addition, get a sense whether they plan to complete the pool installation and be done with it, or whether they seem interested in building a long-term relationship with you. Be wary of the former: it's likely a reflection on the level of quality of the pool construction they do. What happens when the cost exceeds the budget? What about changes due to materials or labor pricing changes? What kinds of situations do you foresee that would cause extra costs? Find a Milledgeville pool contractor or designer on Houzz. Narrow your search in the Professionals section of the website to pool builders in Milledgeville, GA. You can also look through Milledgeville, GA photos by style to find a pool or spa you like, then contact the local pool company who designed it.